Mark your calendars for Saturday 10/13 for the double brewery, double release, of our double barreled, double Milk Stout collaboration with our friends at BuckleDown Brewing. Both beers were aged in Buffalo Trace Bourbon barrels then BD transferred theirs into Quincy Street Distillery barrels for double that bourbony goodness. Ours were transferred into Jamaican Rum barrels for a complex blend of Bourbon, Rum and oaky goodness. Both beers will be available in 4 packs of 12 oz cans. We will have a shuttle running between the breweries and timed variant tappings at each brewery. We will also have a commemorative glass available, food trucks, and more. Here are the tentative details and schedule, check back for updates. -Commemorative 6.7 oz glasses are available while supplies last. $10 includes your first fill ($10.50 with infusion fill), refills are $7 ($7.50 infusion fills). -Schedule-bus will be going between breweries all day between 12:30 and 4:30. Round trip is roughly 30 min. 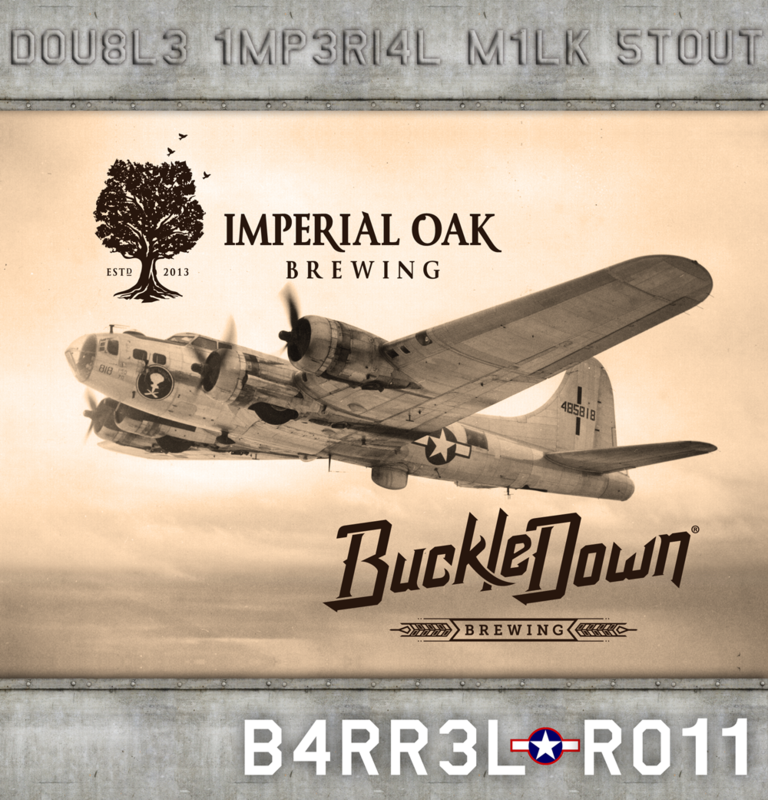 -11:00 AM- IOB opens Bourbon/Rum Barrel Roll tap and can sale begins. 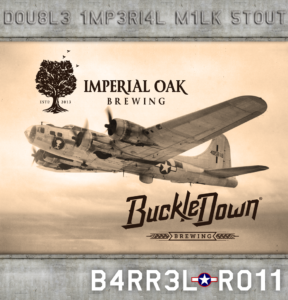 -12:00- BD opens Bourbon/Bourbon Barrel Roll tap and can sale begins.